A documentary film about New Zealand’s role in the Five Eyes global surveillance network and a Living Wage feasibility report are the co-winners of this year’s senior Bruce Jesson Journalism Awards. 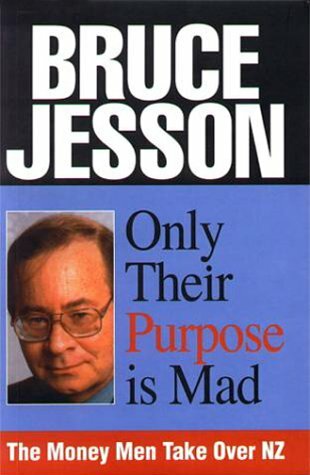 The awards, established in 2004 in honour of the journalist and politician Bruce Jesson who died in 1999, provide grants of up to $4000 in advance to complete works of “critical, informed, analytical and creative journalism”. The other $1000 goes to Auckland journalist and lawyer Catriona MacLennan for a report on the feasibility of adopting the living wage at Auckland Council. The 5th Eye tells two stories in parallel – an investigation into the GCSB’s role in surveillance for the United States and its allies, and the 2008 break-in at the Waihopai spy base in Marlborough by three Catholic activists who successfully deflated a dome covering a satellite interception dish. Wright and King-Jones say the break-in was “a misadventure of sorts that saw the three almost fail in their mission through a series of mishaps and twists of fate”. The footage was shot over the past seven years, and the Jesson grant will enable the film-makers to complete the edit in time for a 2016 release. Catriona MacLennan’s report on the Living Wage aims to update a 2013 report on the feasibility of paying all Auckland Council workers and contractors at least the living wage – a pay rate high enough to support a couple with two children assuming that one parent works fulltime and one half-time. It is currently estimated to be $19.25 an hour. The minimum wage is $14.75 an hour. In 2013 the council paid 1544 workers less than the living wage. At the same time it paid more than $100,000 to 1500 well-paid employees, a number that has risen to 1920 this year. Wellington City Council has voted to support payment of a living wage both to contractors and employees but Auckland Council voted against a living wage. In presenting Catriona MacLennan with her award, foundation chair Sir Edmund Thomas said he was well aware of her writings in the legal area and her journalism “invariably set the highest standard”. Elizabeth Beattie: For Marjorie: Experiencing the 20th century through the mental health system, a wonderfully written story about the writer’s grandmother’s experiences with mental illness. Mava Moayyed: Two years on from Roast Busters, an analysis of the way members of the public used social media to fan public outrage about insulting questions put by broadcasters John Tamihere and Willie Jackson to a young women who was a victim of the Roast Busters. Norman Zafra: A long recovery: rebuilding after a super storm, a fascinating account of the way land ownership in the Philippines has obstructed rebuilding after Typhoon Haiyan. On 14th October Rod Oram delivered the 2015 Bruce Jesson Lecture to an appreciative audience at the University of Auckland. Addressing the future of business journalism in NZ, he identified the necessary starting point as grappling with the fundamental issues shaping our economy, and went on to outline how a new model for NZ business journalism would be built on three foundations: money, people and relationships. A PDF version of the lecture can be downloaded here. A link to the video recording of the lecture will be posted as it becomes available.